Debbie Radvar is a practitioner with more than 20 years of continuous learning and experience in holistic health. She has created a system of healing combining multiple techniques to assist clients in overcoming physical pain, allergies, chronic illness and emotional stress. Using an integrated approach, with muscle testing as a primary guide, you will work together to reset the body’s bio-electrical system, harmonize allergies and sensitivities, and de-link negative emotions from thoughts that are no longer helpful. These science-based modalities activate the body’s ‘own’ inherent healing capacity and work towards putting the body back into balance. 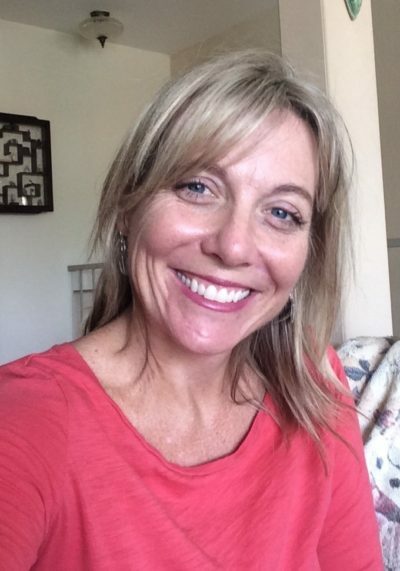 Debbie’s passion is to help guide individuals and families in creating and maintaining healthier lifestyles, offering empowering and sustainable alternative approaches to simplify health and healing. A 1.5 hour initial appointment includes a basic exam to assess the root cause of presenting symptoms, finding their structural, chemical and emotional origin to determine needed corrections. Follow up appointments range from 30 min to one hour. A procedure utilizing an electronic camera to obtain an image of the infrared radiation (heat) coming from the surface of the skin. Craniosacral Therapy is a process, steeped in the rich history of Osteopathic Manual Medicine. When structural movement is restricted —particularly around the brain and spinal cord— it can have a powerful impact on the way the rest of the body functions. Craniosacral Therapy removes structural restrictions and relieves pressure within the craniosacral system; a pressure-stat system that gently moves the cerebral spinal fluid up and down the spinal column from the sacrum to the cranial bones. While effective for structural issues (migraines, TMJ and lower back/ tailbone issues) relief of Craniosacral Therapy dysfunction and pressure can help put other body systems back into balance, as well as promote deep relaxation. EFT is a combination of tapping the energy meridians while voicing positive affirmation to clear a “short-circuit” – an emotional block – from your body’s bio-energy system, thus restoring your mind and body’s balance; essential for optimal emotional and physical health. Often helpful for removing negative emotions, reducing food cravings, addictions, reducing or eliminating pain, and implementing positive goals. Matrix Energetics is a system of energy work incorporating subtle energy and quantum physics. The application of Matrix Energetics reestablishes the flow of biological information so that the body can better respond to and assimilate past traumas, injuries, emotional and energetic patterns. Matrix Energetics has a physical and observable effect every time, with the client usually feeling a wave-like motion. Since change is occurring at a quantum level, instant results are often achieved. The perception of our environment through our senses, how we emotionally move through life, creates the potential for electricity to move. By changing the polarity of a perceived negative experience, it is possible to bridge the gap between the conscious and subconscious mind. Change occurs when we harmonize, accept, forgive and release the subconscious, internalized emotions that are at the root of symptoms and stress. In shining the light of consciousness on your life, you shift energy and replace old patterns and limiting beliefs with space and with lightness that allows you to create a new paradigm, new health, new beliefs… creating space to show up in your life the way your were meant to. Debbie is at Inspire Wellness on Tuesdays and Fridays.